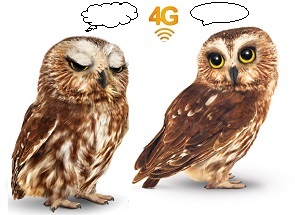 Brazil among the worst 4G « Blog Marcos L. Mucheroni Philosophy, Noosphere and Ciberculture. A quarterly report OpenSignal put Brazil in the 51st. position 68 with 4G coverage, the State of LTE report (“State of Long Term Evolution”) shows what we have repeated here, the most expensive service in the world is among the worst. Also in the report that 140 countries have commercial network less than 4G, but included in the report only operators that had sufficient volume of data. Compared to other countries, for example, smartphone users in Brazil can only 50% of the time they access the network, compared to 97% of South Korea, which leads the global coverage of ranking, although some network say it in Brazil. The country improved slightly in the rankings as the connection speed, Brazil has better performance, appearing in 23rd place, but the data is linked to the scope, ie only considers the 50% that use the network, the average speed tends to be higher. The data put on the scope carriers Vivo and course joints appear first, covering 51% of the area, followed by Nextel and TIM (50%), whereas Hi is the lantern, with 42% coverage.